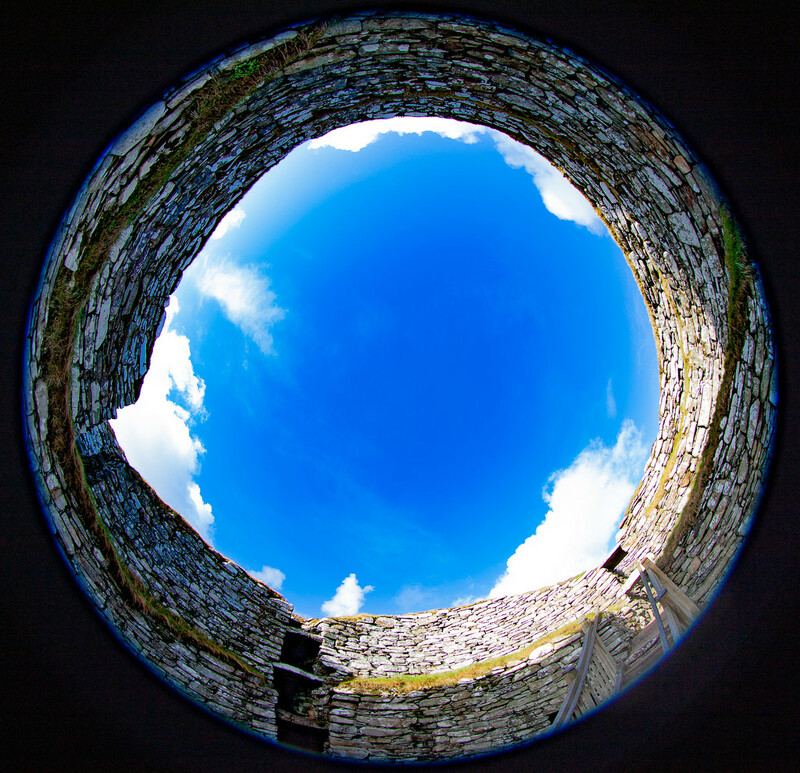 A view skywards from the floor of the Clickimin Broch in Lerwick. I probably haven't visited the inside of the Broch for over 30 years (certainly not it digital camera time). The Broch dates back well over 2000 years. @shannejw no photoshop just something that works for once with a Fisheye lens. Fabulous image. Fisheye at its best. Its like being down a well.